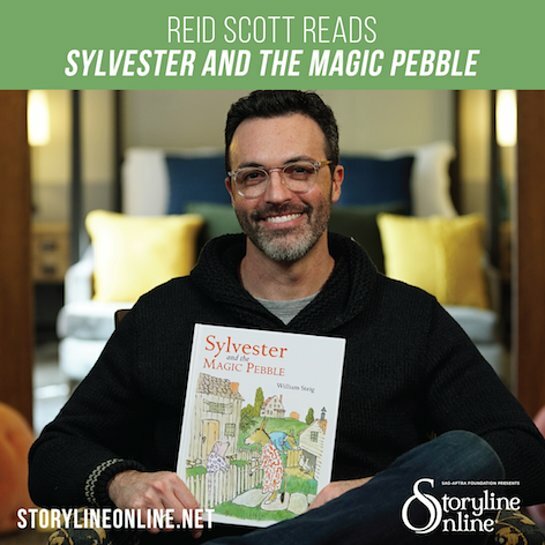 Actor Reid Scott (Venom, VEEP, Turbo FAST), is the newest reader for the award-winning children’s literacy program Storyline Online (storylineonline.net). Scott reads Caldecott Medal winner Sylvester and the Magic Pebble, written and illustrated by William Steig, and published by Robert Kraus. On a rainy day, Sylvester finds a magic pebble that can make wishes come true. But when a lion frightens him on his way home, Sylvester makes a wish that brings unexpected results. 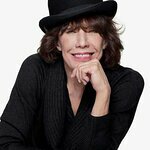 How Sylvester is eventually reunited with his loving family and restored to his true self makes a story that is beautifully tender and filled with magic. Scott, who plays Dr. Dan Lewis in the upcoming superhero movie Venom to release on October 5, is the latest actor to join the expanding cast of Storyline Online readers that includes Kristen Bell, Kevin Costner, Viola Davis, Sarah Silverman, James Earl Jones, Chris Pine, Christian Slater, Wanda Sykes, Justin Theroux, Lily Tomlin, Betty White, Elijah Wood and more. Storyline Online features actors reading children’s books alongside creatively produced, original illustrations. Storyline Online, the Emmy nominated children’s literacy program of the nonprofit SAG-AFTRA Foundation, streams 50 videos at no cost to children, parents, and educators worldwide, and receives more than 6 million views every month. As with all Storyline Online videos, Sylvester and the Magic Pebble comes with a supplemental activity guide aligned with Common Core Standards that strengthens verbal, written and comprehension skills. Aimed at students in 2nd and 3rd grades, these activities encourage students to engage in critical thinking and ponder the themes from the book including magic, family and decision-making. In addition, Storyline Online has an app for iPhone and Android. The app features the full digital library of Storyline Online videos, complimentary educational activity guides and more. To watch Sylvester and the Magic Pebble and all of Storyline Online videos, visit storylineonline.net, and subscribe to youtube.com/storylineonline.